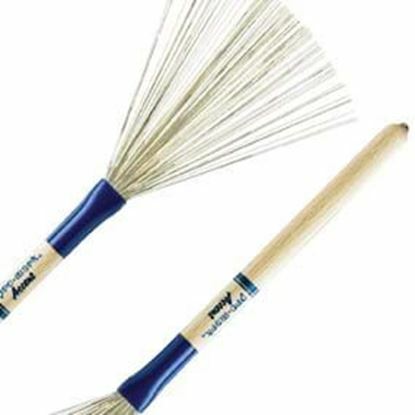 Promark Nylon Brushes feature light-weight blue nylon bristles that won't bend out of shape. The bristles conveniently retract into the American made impact resistant plastic handle. 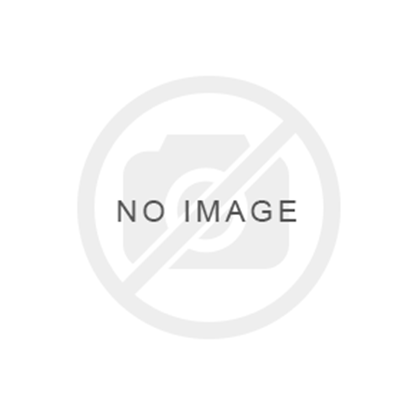 Brushes will stay in shape better because they retract. Heavy molded rubber handle, Poly bristles, adjustable sound control ring. 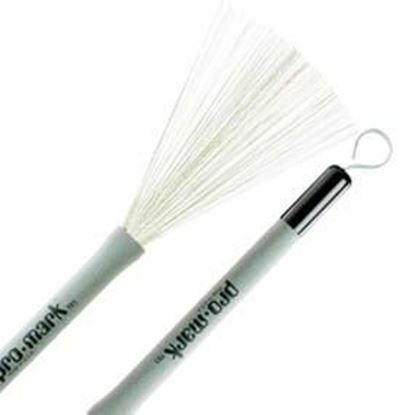 The Regal Tip Classic Retractable Wire Brushes have a comfortable gum rubber grip and retractable bristles that can be adjusted to different spreads to fit any sound you want. The Clayton Cameron Multi-Function Wire Brushes let you do things that you just can't do with other brushes. 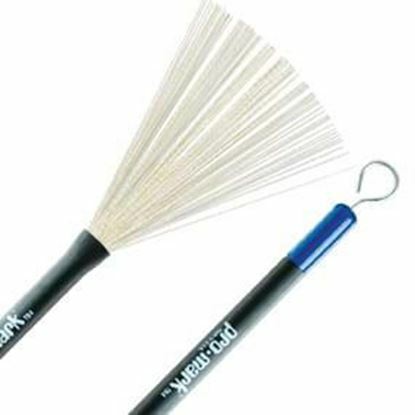 Made with medium gauge wire, the brushes give you a warm, smooth tone. 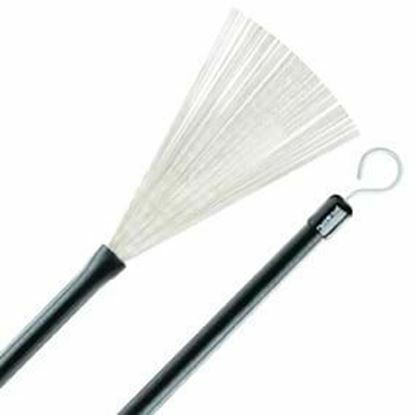 The 584W is a retractable wire brush with a Rubber and Wood handle for a comfortable grip and great cross-sticking action. Regal Tip® teamed up to produce this Ed Thigpen Nylon Bristle Performer Series specialty brush. The flexible handle molds to your hand for ultimate comfort. Adjustable sound rings allow you adjust the plastic bristles to produce different sound punctuations depending on your playing situation.